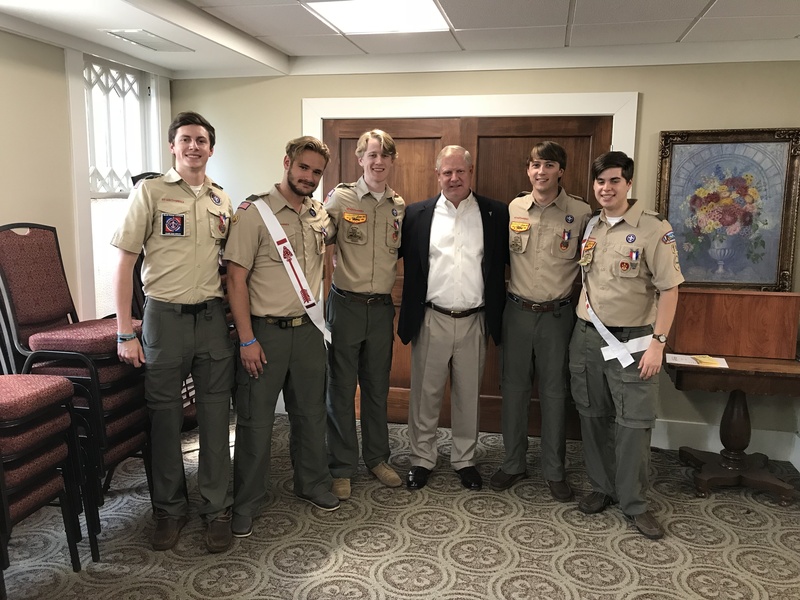 It was an honor for Gary Tompkins to serve as the Master of Ceremonies for a truly inspiring Eagle Scout Court of Honor for five young men who earned the rank of Eagle Scout. These young men, Harrison Maiorana, Mason Smith, Zach Smith, Liam Walker and Conner Williams. Earning the rank of Eagle Scout is a huge achievement. Less than 3% of the boys who start the scouting program earn this prestigious rank. Having 5 boys earn the rank in the same day is historic and speaks volumes about Scott Kilgore’s leadership as their Scoutmaster as well as all the families who mentored these young men. We are very proud of their achievement.